Preah Vihear is a beautiful Angkorian temple that was constructed mainly during the 11th and 12th centuries. It is located atop a breathtaking 525-meter (1,722 feet) cliff in northern Cambodia. It has however been subject of quarrel between Cambodia and Thailand over the past hundred years. 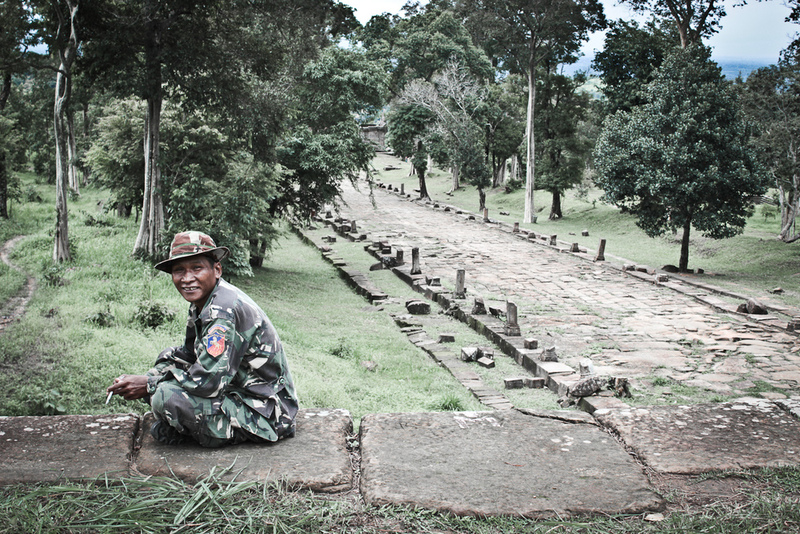 The most recent (and ongoing) dispute started in 2008 when UNESCO declared Preah Vihear a World Heritage site despite protesting Thai officials. Since then, a significant number of troops have been posted on each side of the border. Fighting has caused the death of 17 soldiers and 2 civilians. Scores of ancient stones from the temple were also damaged. Copyright © Gary Lobevich 2015. All rights reserved.